As expected Lastings Milledge was recalled to take Nady’s spot, still wearing 44. Underutilized stick Victor Diaz 20 was told to play all he wants — in Norfolk. LeftyPedro Feliciano 39 takes his place on the roster. 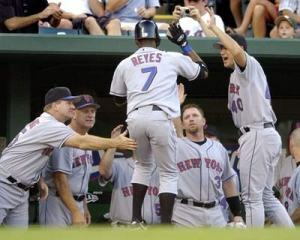 Jose Reyes finally returned to the Mets. To make room for him the team designated catcher Tom Wilson for assignment, leaving the team temporarily with two catchers and six outfielders and importantly, freeing up uniform No. 6 for another issue. Reyes looked great in 7, hustling in one run and tripling to set up the gamewinner. 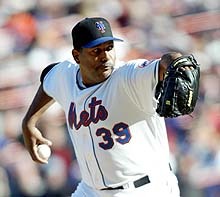 In another move the Mets once again sent Pedro Feliciano 55 back to Norfolk before seeing any action in New York. That Feliciano’s replacement, Jose Parra, saw action in his first opportunity probably didn’t make the return trip any sweeter for Pedro. Parra, a veteran righthanded reliever who was closing in Norfolk, suited up in the dreaded No. 46. 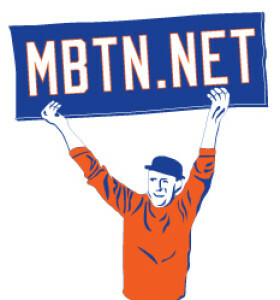 The Mets arrived in Atlanta today with a healthy Jeromy Burnitz 20 in tow — and centerfield. ‘Nitz missed more than four weeks with a broken hand. To make room, the Mets sent Jeff Duncan 61 back to the minors. Meantime, Jay Bell 44 joined the wounded list and lefty reliever Pedro Feliciano 55 was recalled.